Some features inside such as an outside-accessible, one-hand opening blade and newly-designed spring-action jaws with plenty of handy tools, and backed by a team of designers, assemblers, and manufacturing crew from Portland, Oregon are amazing values. Covered by the Leatherman 25-year warranty, perhaps the most unique feature on the Wingman is the package opener. This small, unassuming sharpened hook is purpose-built to tear into those plastic “blister-packs” that so many small electronic devices come in. One can cut into the package without worry for damaging the contents. The package opener can also safely cut the packing tape on cardboard boxes. For many, this feature alone will seal the deal. Leatherman Wingman has no scrathes, nicks, tool-marks or any certain defects. The edge of knife is decent and the scissors is a barely acceptable edge, a little finnincky to deploy, and have to be extended all the way until it is suitable at the point string deploys and function properly. The scissors feature a locking mechanism which holds the tool open for safety. The Wingman has larger pliers than my other Leatherman models, and it’s one of my favorite things about it. They are well machined and are spring loaded. The blade on this tool has a combo edge with plain edge towards the tip. It also features a chisel grind and a locking mechanism. For screwdrivers, the Wingman gives you one main Flathead and Philips. The file/ruler also acts as a smaller Flathead screwdriver. These screwdrivers are surprisingly decent. Although it is a little heavy, it saves multi-tools around that can against the usability from whole class of tools. It is also a very handy whether you bring it directly with you or you can put it on you pocket. But overall, it is acceptable. The final Verdict about Leatherman Wingman is such a kind of an average-sized tool with an easy-entry price. Its function and durability was above standard. It exceeds the competition with a couple externally opening tools and a unique package opener. As compared to the Gerber Multi-Plier 600, the Wingman is more compact, easier to use, and easier on the pocket. It is easier on the pocket, figuratively, because it is half the cost, but also literally because the Gerber tool stores with sharp needle-nosed plier tips still exposed. The Leatherman Wingman is smooth and rounded when closed. The Leatherman’s integrated pocket clip is appreciated by many users. Finally we will make it short that the small file on the Wingman is the coarsest one among others. In fact, some caution is advised if you intend to use this file for nail grooming. This thing removes material fast! 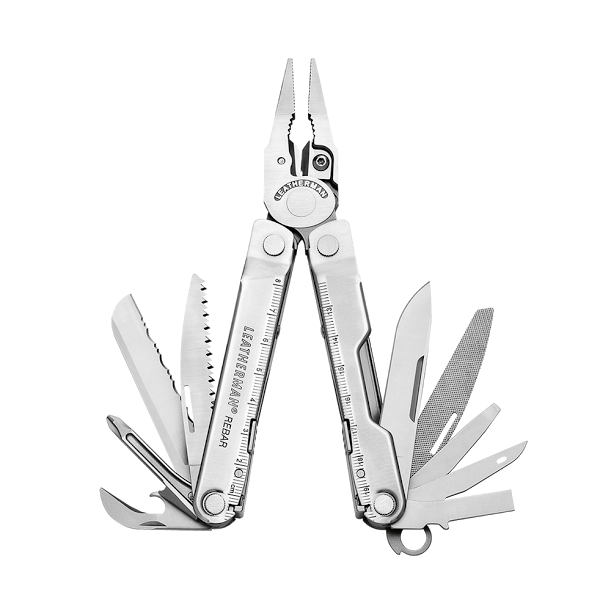 Check the best price for Leatherman Wingman here!